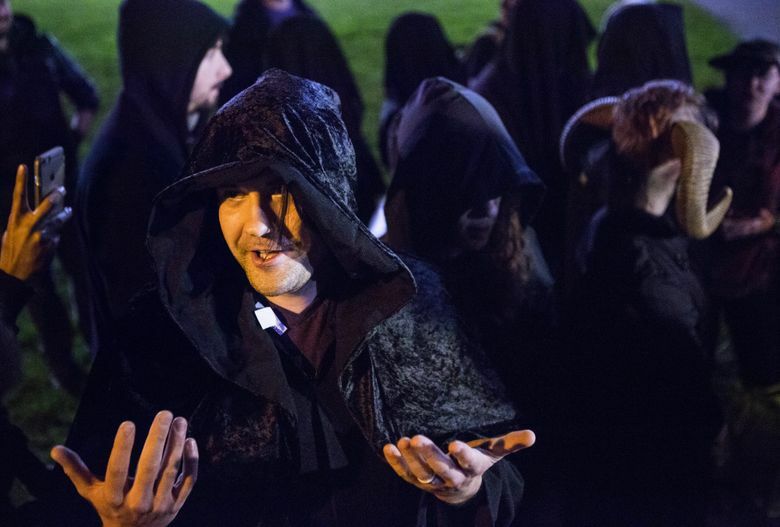 The Satanic Temple of Seattle was invited to protest coach Joe Kennedy’s controversial ritual of praying on the 50-yard line after games. 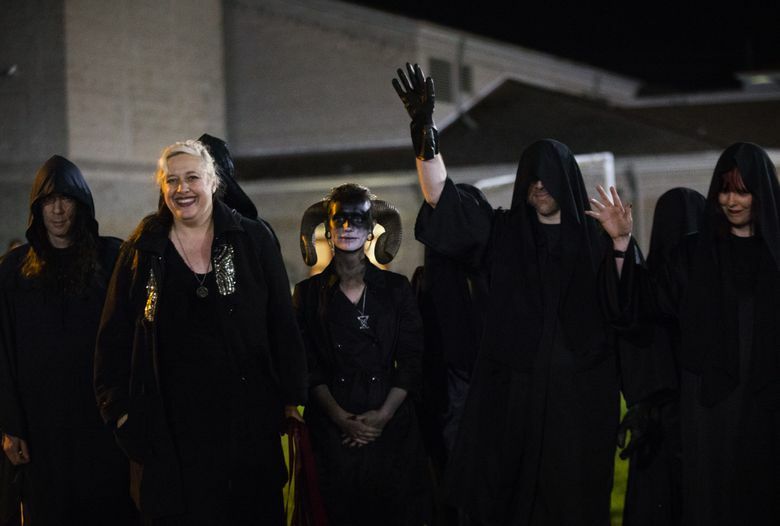 About a dozen members of the Satanic Temple of Seattle, most dressed in hooded black robes and some masked, left Bremerton High School shortly after their arrival at a varsity-football game Thursday night. 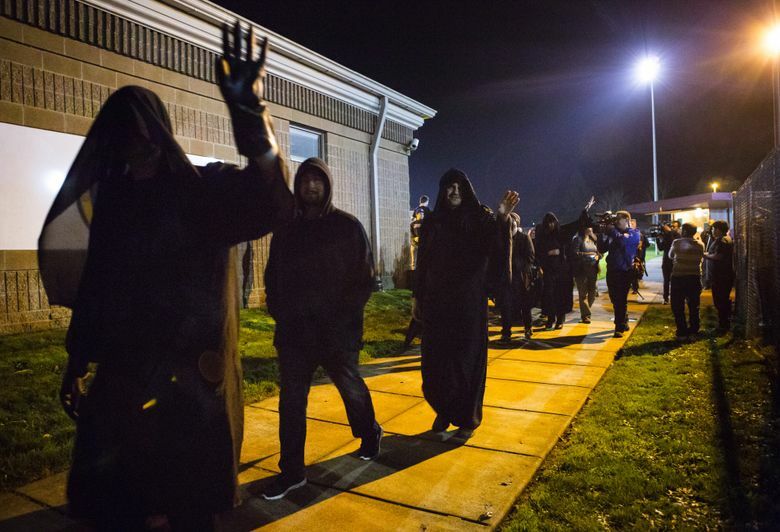 They came in response to the controversy surrounding coach Joe Kennedy, who was placed on leave this week for praying on the field after games but attended the game in the stands. 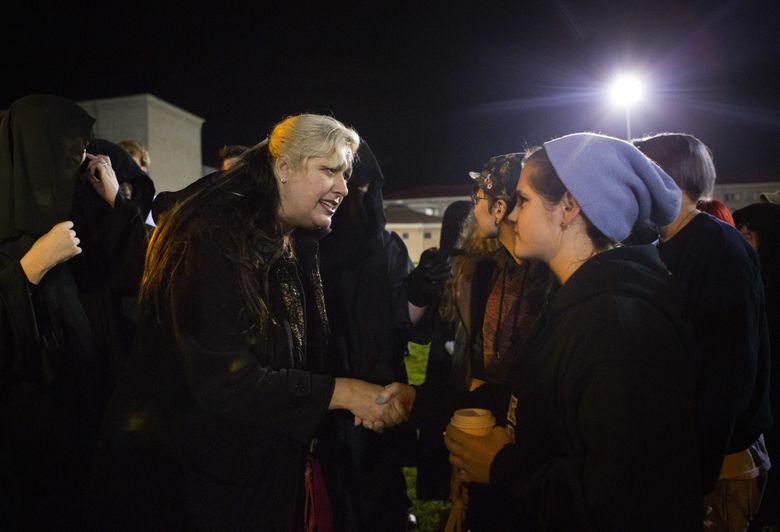 Students swarmed the fence where the Satanists stood outside. The group climbed the fence, shook it, held up crosses, threw liquid, and chanted “Jesus.” Some yelled at the Satanists to go away. 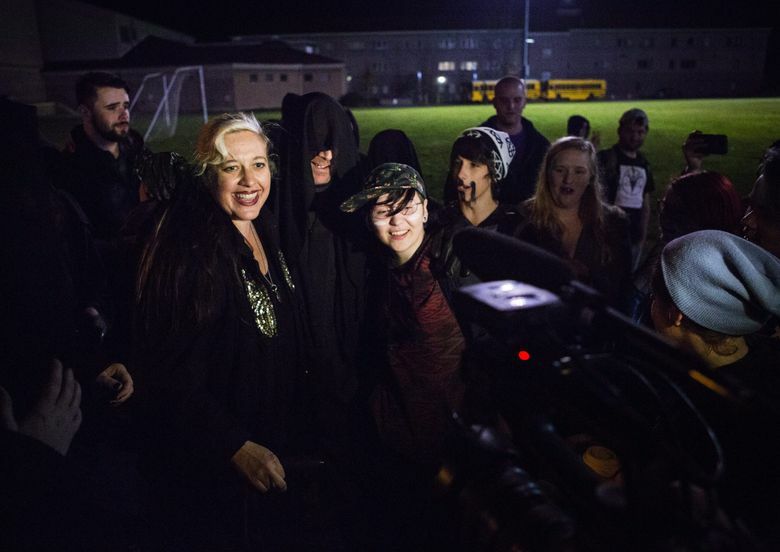 A few of the half-dozen students and teachers who invited the Satanists to attend the game in the spirit of free expression were allowed outside the fence, where they spoke with members of the atheist and agnostic group and thanked them for coming. Starr said as the group was leaving that their mission was victorious because Kennedy did not pray on the field. 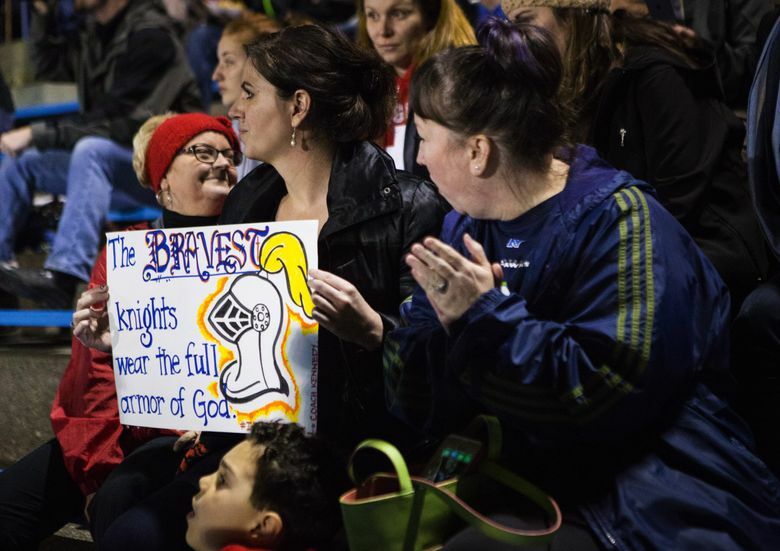 He did pray, however, in the stands after Bremerton’s 27-20 victory over Sequim. “I’m willing to take this all the way to the end,” he said during half-time. It was not immediately clear what action the school district would take, if any. 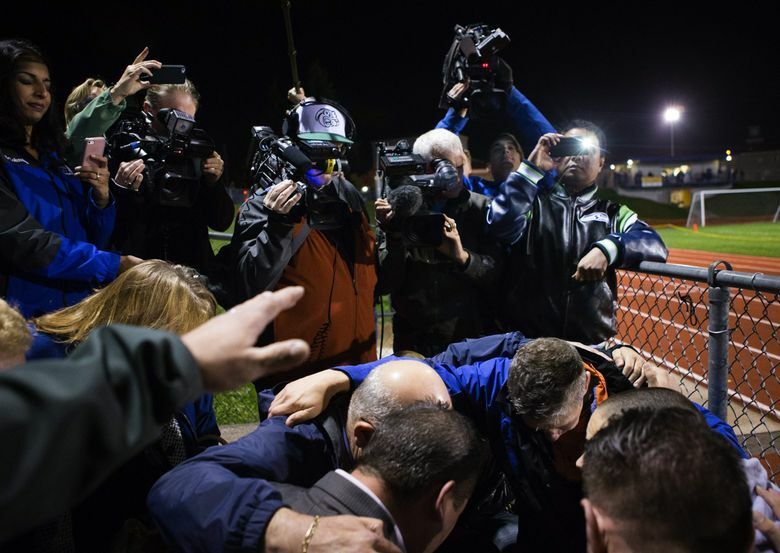 But Kennedy’s lawyer, Mike Berry of the Liberty Institute, has said Bremerton School District is wrong in its understanding of the law and in its actions. 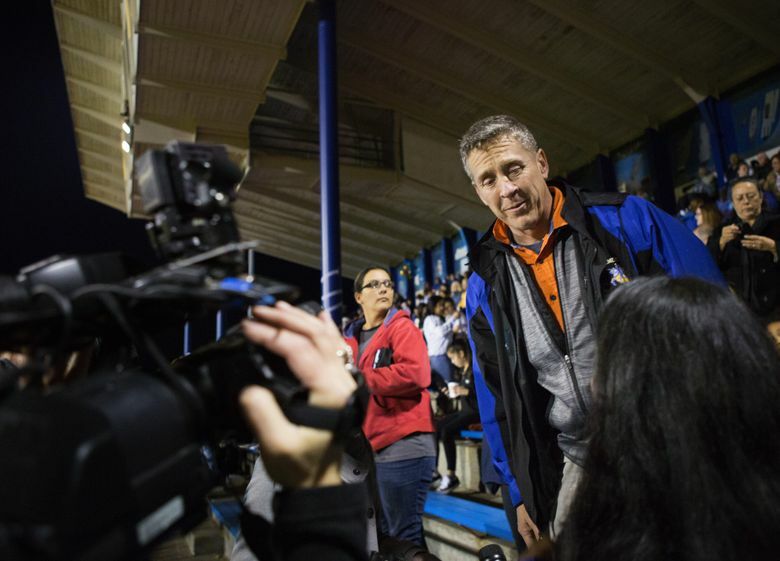 On Wednesday, the district placed Kennedy, the assistant varsity-football coach, on paid administrative leave. 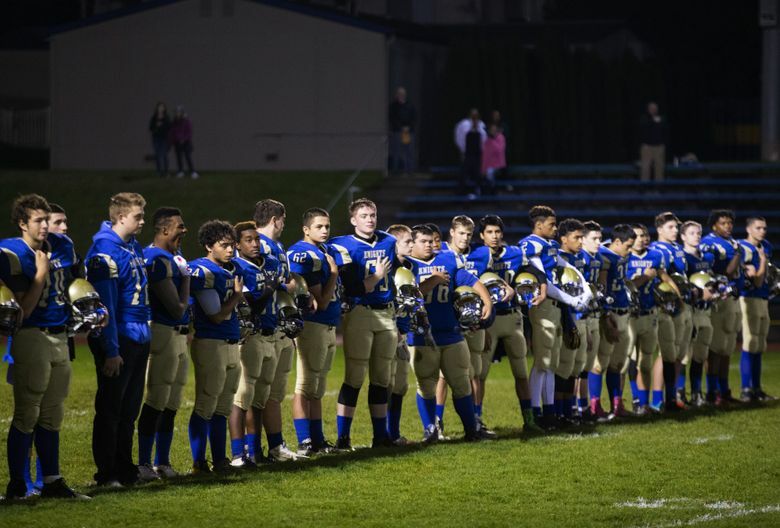 In a four-page letter, the district said Kennedy refused to comply with district orders to stop praying on the field after games. 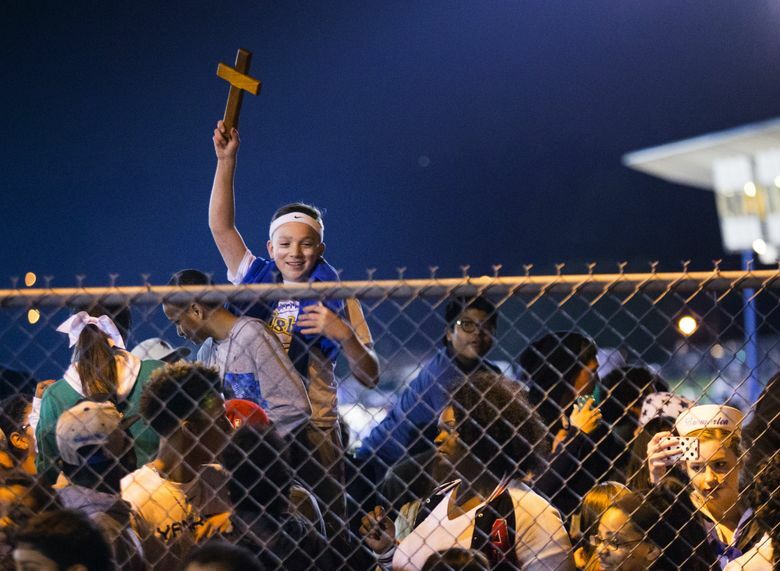 The district said it was bound by “lawful and constitutionally-required directives” about public religious displays and outlined several Supreme Court rulings backing the district’s actions. 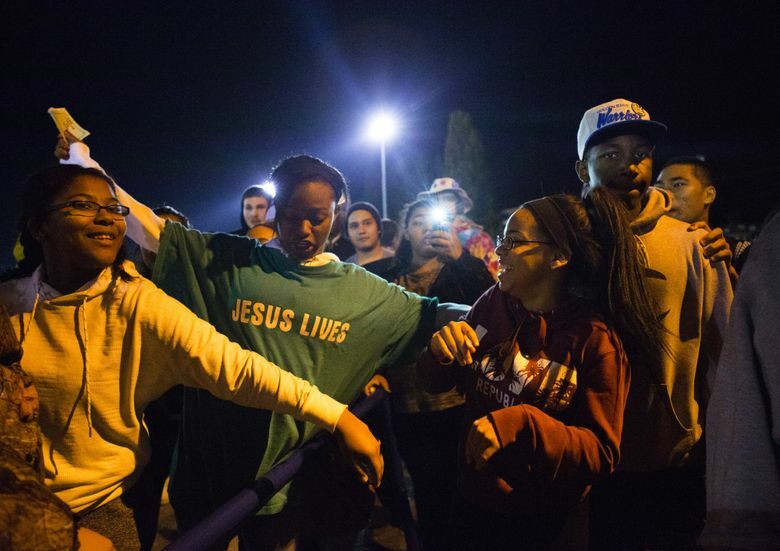 Among them was a 2000 decision that found a Santa Fe, N.M., school violated the First Amendment’s Establishment Clause when it allowed its facilities to be used for religious expression during a district-sponsored football game. 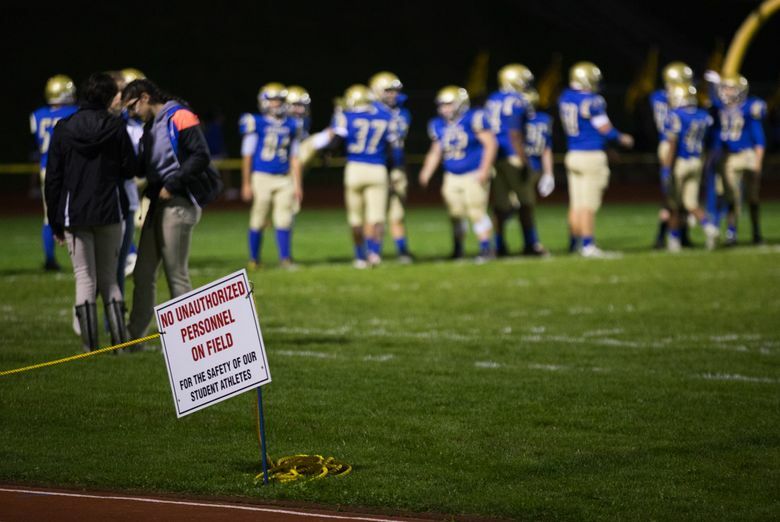 “While attending games may be voluntary for most students, students required to be present by virtue of their participation in football or cheerleading will necessarily suffer a degree of coercion to participate in religious activity when their coaches lead or endorse it,” the district said in the letter. The district said that Kennedy would remain employed by the district for the term of his contract as the junior-varsity coach and assistant varsity coach but would not be allowed to participate “in any capacity” in the football program unless he agreed to comply with district directives. 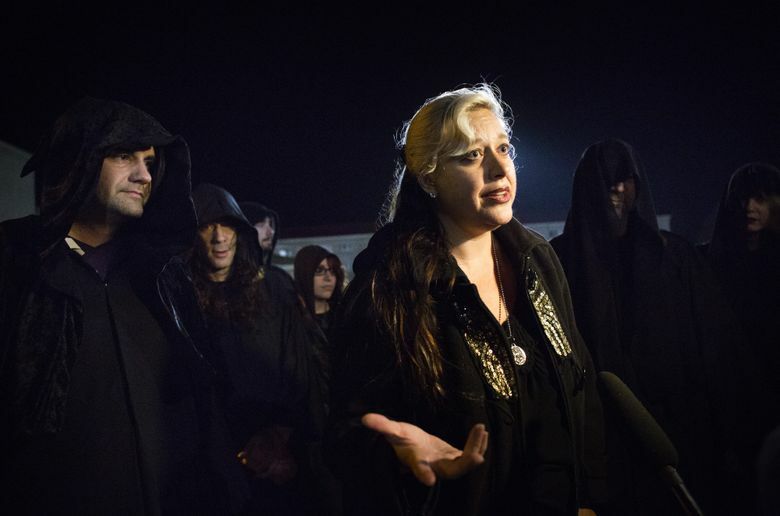 The school district released the letter after being contacted by the Satanic Temple of Seattle, which had asked permission to hold an invocation on the football field after the game. 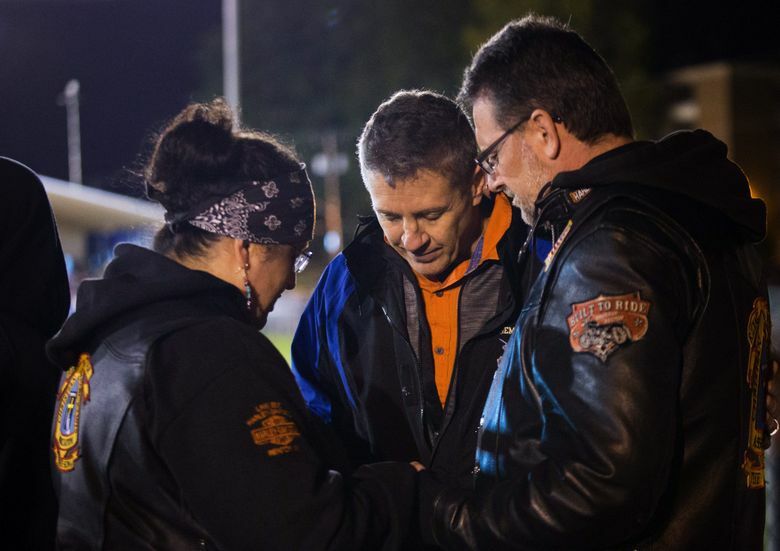 The group said that because the district took no action against Kennedy when he prayed on the field in defiance of the district’s orders, it was essentially creating a forum for religious expression that should be open to all groups. 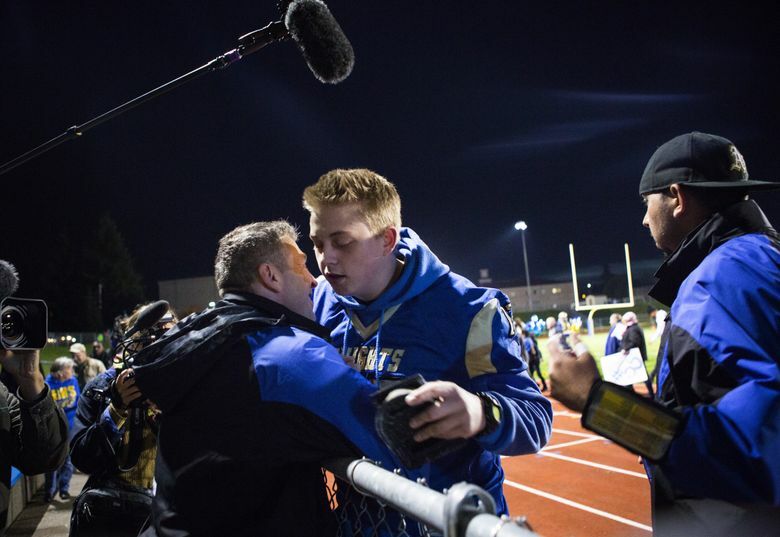 The group was invited by a number of students, including Bremerton High senior- class President Abe Bartlett, who said he did so in an effort to force the school to clarify and act upon its policies. When contacted for comment, Kennedy referred questions to Berry, senior counsel at the Liberty Institute in Plano, Texas. Another Liberty lawyer said placing Kennedy on leave was a hostile-employment action and that the group would file a charge of discrimination with the Equal Employment Opportunity Commission. The case has drawn attention from around the country. 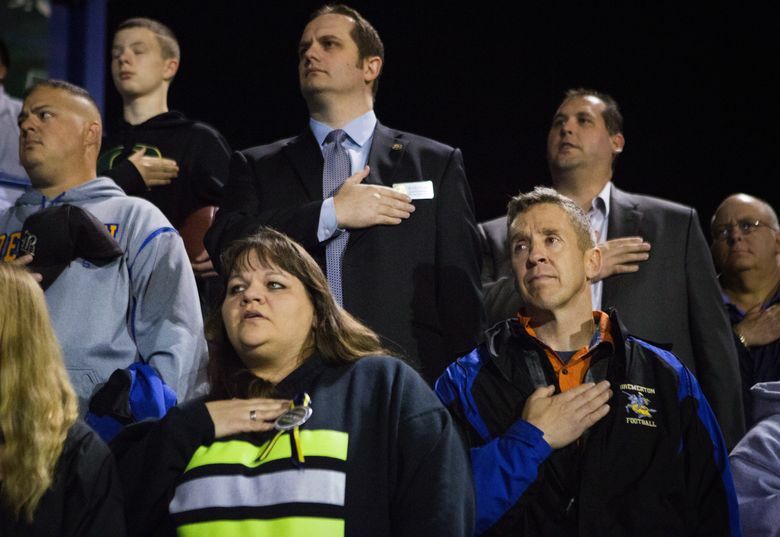 On Tuesday, 47 members of Congress sent a letter of support for the coach to the district. Superintendent of Public Instruction Randy Dorn, meanwhile, sent a letter of support for the district to officials there. 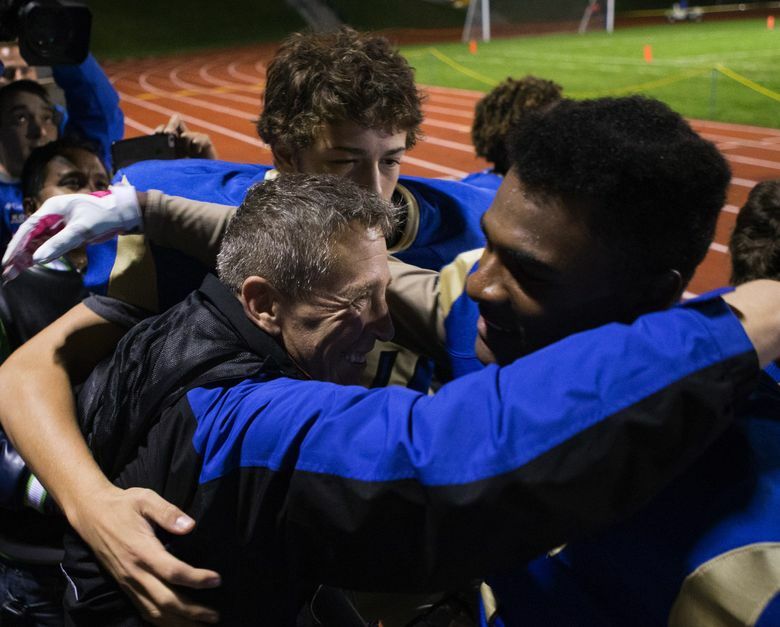 Kennedy started praying at the 50-yard line after games in 2008, and his practice has grown over the years to include players, fans and other coaches. He said that he has welcomed students to pray with him but never encouraged it. 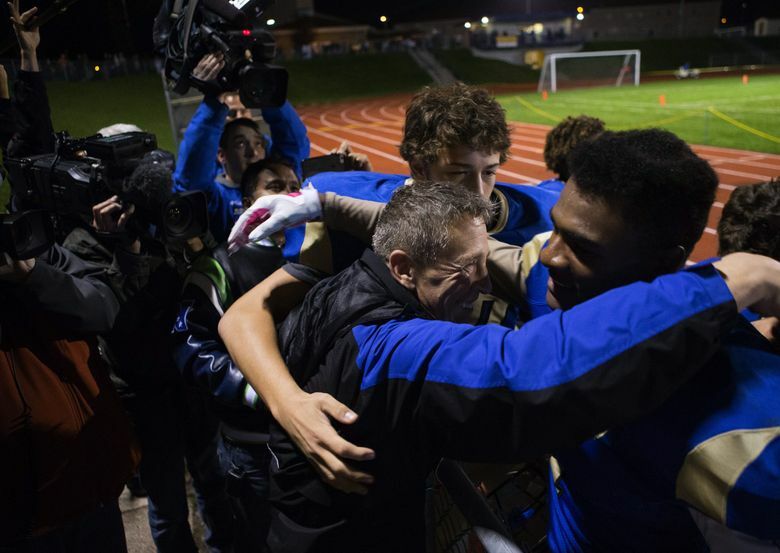 He said the practice came to the district’s attention when another coach complimented him, and Bremerton High School administrators, on the practice. 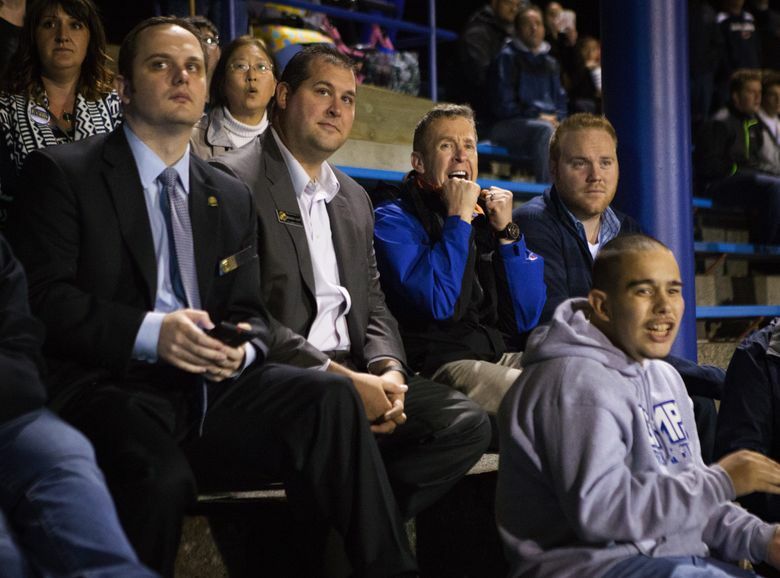 “They were impressed and wanted to say ‘thank you,’ ” Kennedy said after the Oct. 16 game, where he prayed after the match in defiance of the district’s orders to stop. Information from The Seattle Times archives and The Associated Press is included in this report.